SD 081V | Home Studio, Inc. 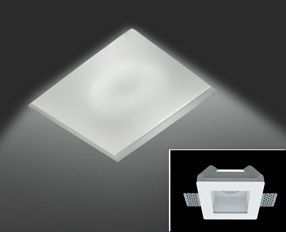 Fully recessed for fitting in interior plasterboard ceilings or in brick/concrete, configured for halogen, fluorescent, metal halide and LED luminaires. Body in decoratable natural white plaster, fixing brackets adjustable to thickness of the plasterboard panel, in perforated galvanized sheet. Extra white satinized glass, recessed 0,5 cm. = 0. 1/4″” into false ceiling. Hole for light emission: 7x7cm. 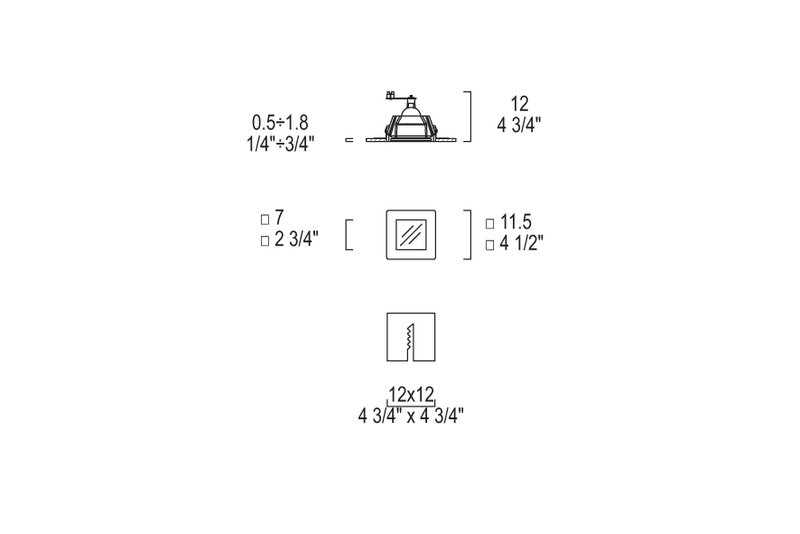 = 2.3/4″”x2.3/4″”. Optional wiring kit: GU 10. On request the wiring kit GX 10 20/35W metallic halogen.